Virgins Saints and Angels Sacred Heart Pendant — The favorite jewelry of all the N.J. Housewives, Virgins Saints and Angels blend the romance of Spanish culture with the deep and passionate religious beliefs. 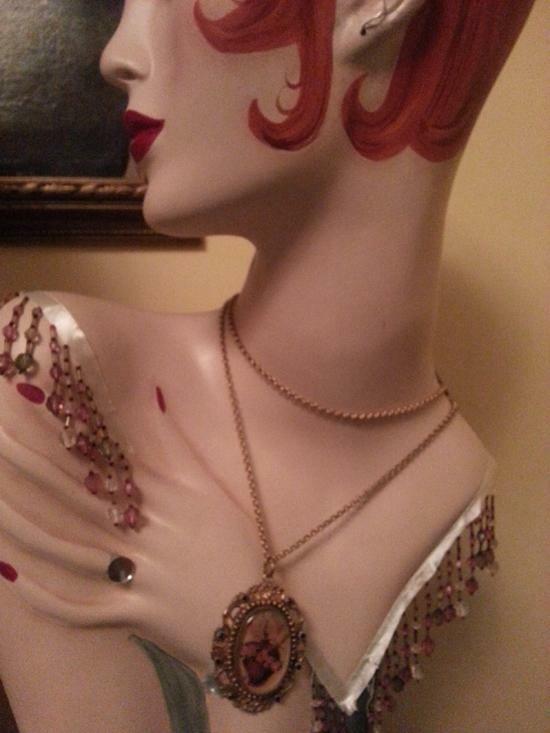 The Goddess pendant displays the sacred heart on a triple dipped chain of gold...looks beautiful wrapped and layered. This is an early piece by VSA and a fairly rare one! 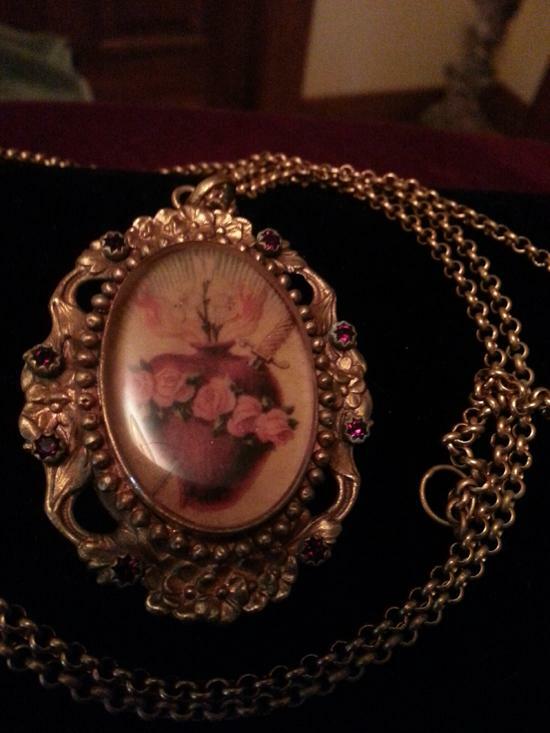 Chain is 36 inches long and pendant is oval, 2.5 by 2 inches and surrounded by an ornate frame set with ruby crystals.